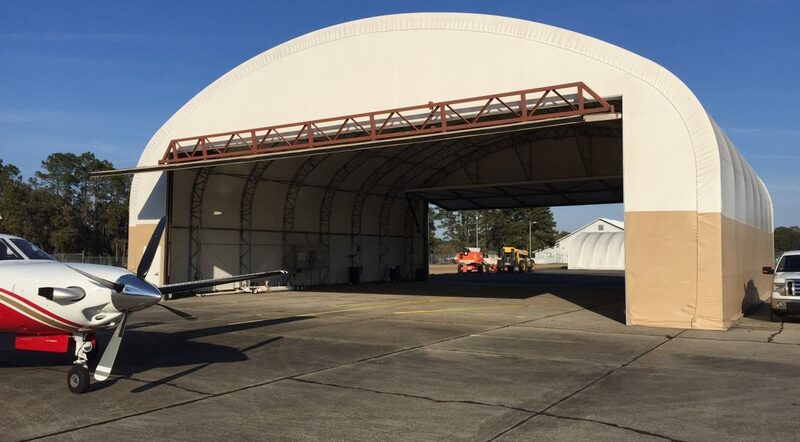 Fabric shelters from Big Top make excellent hangars for aircraft and can provide fixed-base operators (FBOs) with many benefits. 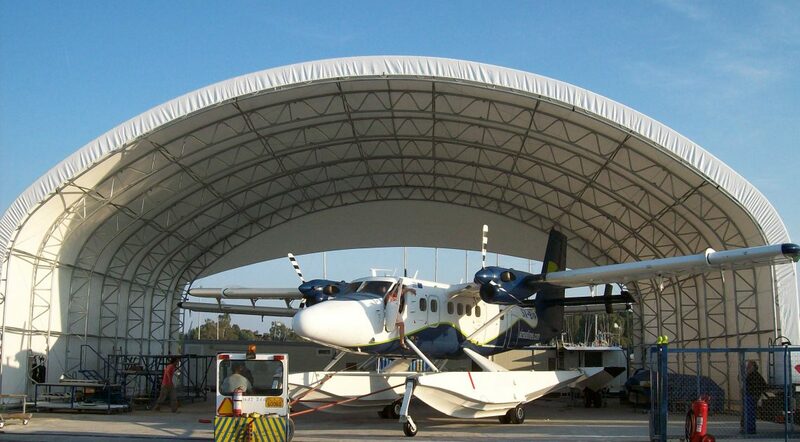 The fabric used in our structures is engineered to offer superior protection for your aircraft from harmful UV radiation. In fact, it blocks 99.95 percent of UV-A and UV-B radiation for a UPF rating of 2,000 and a conventional rating of 50 plus. 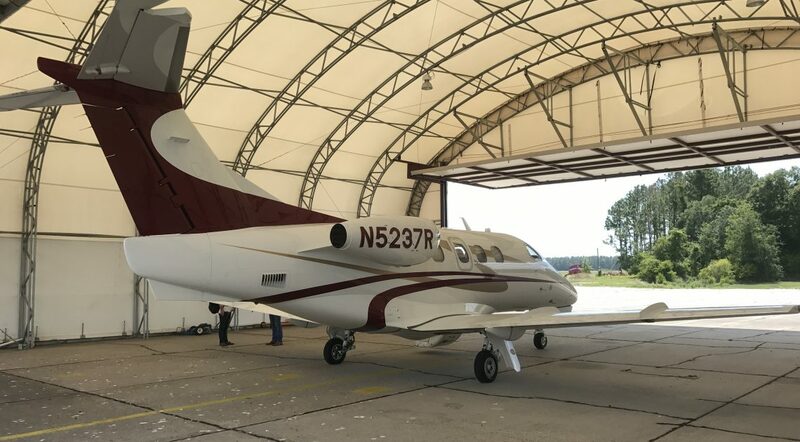 Keeping your plane or helicopter sheltered from the sun can prolong the life of its electronics and paint, reducing the need for premature repairs. 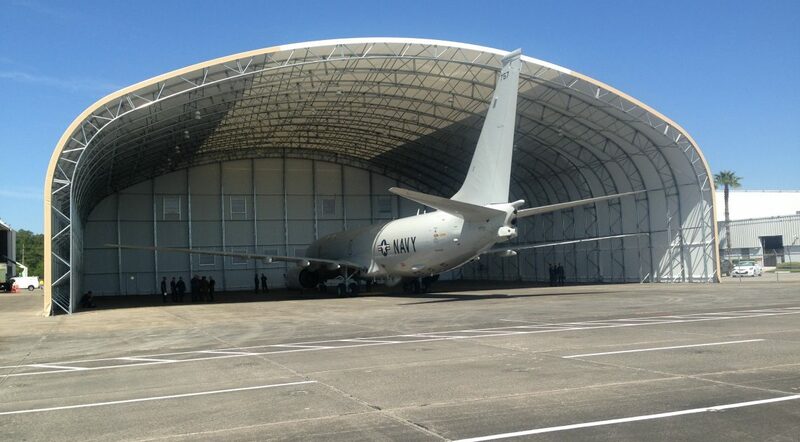 No matter how you use one of our structures, they will provide better benefits than traditional metal T-hangars. 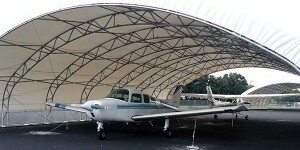 First, our fabric shelters can be erected quickly and easily and can also be disassembled and relocated if necessary. 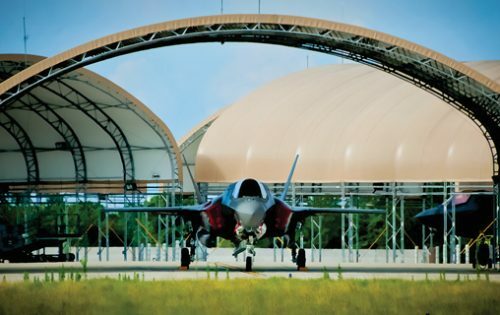 Plus, they can be deemed as equipment by the IRS, potentially leading to tax savings. 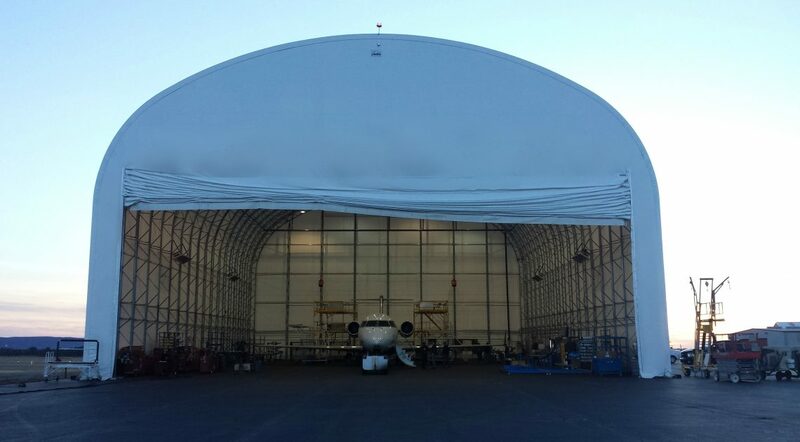 Big Top’s rip-resistant fabric shelters are strong enough to stand up to the elements and can even be engineered for wind and snow loads. They are also NFPA-701 flame-retardant for further peace of mind. The translucent fabric allows in natural light, saving you energy costs, and maintains a comfortable interior that is an average 15 degrees cooler in the summer and warmer in the winter. 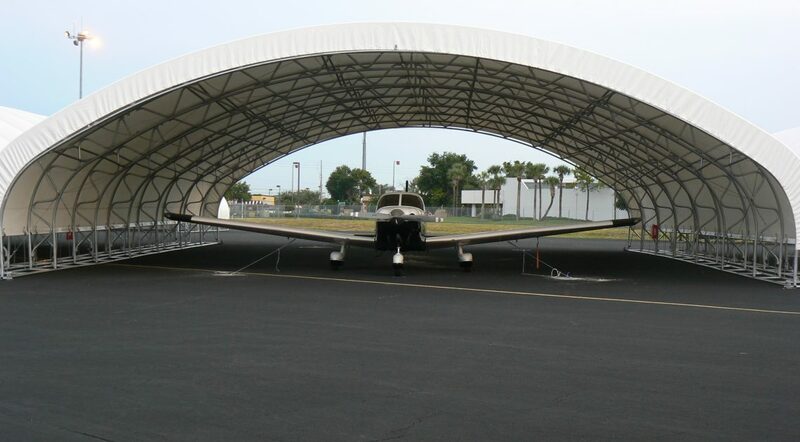 When you compare the superior protection and cost savings of our fabric shelters with the inflexible and potentially costly permanent designs of metal T-hangars, it’s easy to see which of the two will offer FBOs a better return on investment. For more information, contact the industry experts at Big Top today.